Show your Allegiance to the dark side with the Sheaffer Star Wars Darth Vader pouch, sized just right for art and school supplies, smartphones, and more. 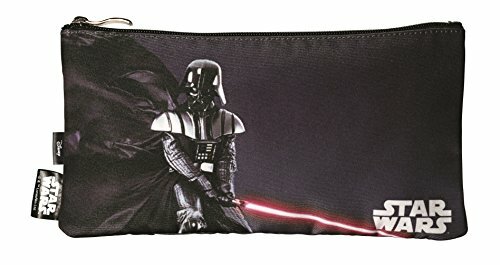 Both sides of this sturdy pouch feature an imposing print of Darth Vader wielding his lightsaber. Unzip to reveal a split pocket for convenient storage and a water-resistant black interior lining that keeps your gear safe from spills, wherever your travels take you.